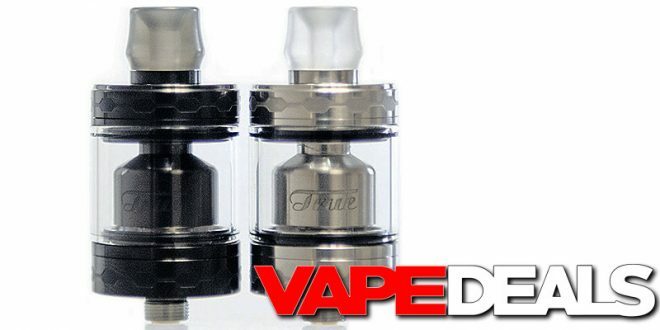 Here’s a great deal on one of my favorite tanks: the Ehpro True MTL RTA. MyFreedomSmokes has it listed at $25.95…but you can still get 15% off all tanks when you apply coupon code “15TANKSMFS” at checkout. Grand Total: only $22.06. That’s less than what I paid for mine…and I had to wait 3 weeks for overseas shipping! Great price coming from a reliable US vendor like MFS. You’ll have to act fast though—that coupon code officially expires TODAY (2/11) at 11:55pm EST.